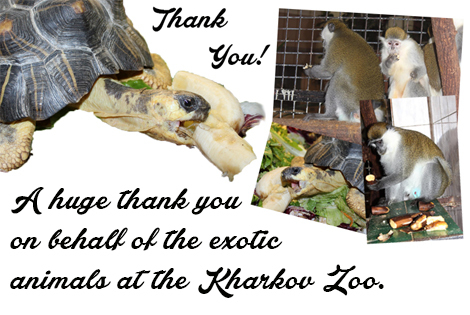 Earlier this year we wrote to you about the poor animals at Kharkov’s Zoo that are in danger of facing hunger due to the war conflict in Ukraine. Though Naturewatch Foundation does not condone the keeping of animals in enclosures, we could not stand by and do nothing as these animals face potential starvation. Thanks to your amazing support, we have been able to send a large donation, which has been spent on a wide range of nutritious food for the exotic animals.